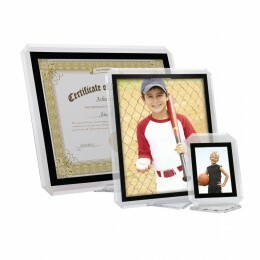 These plastic picture frames are perfect for event giveaways. 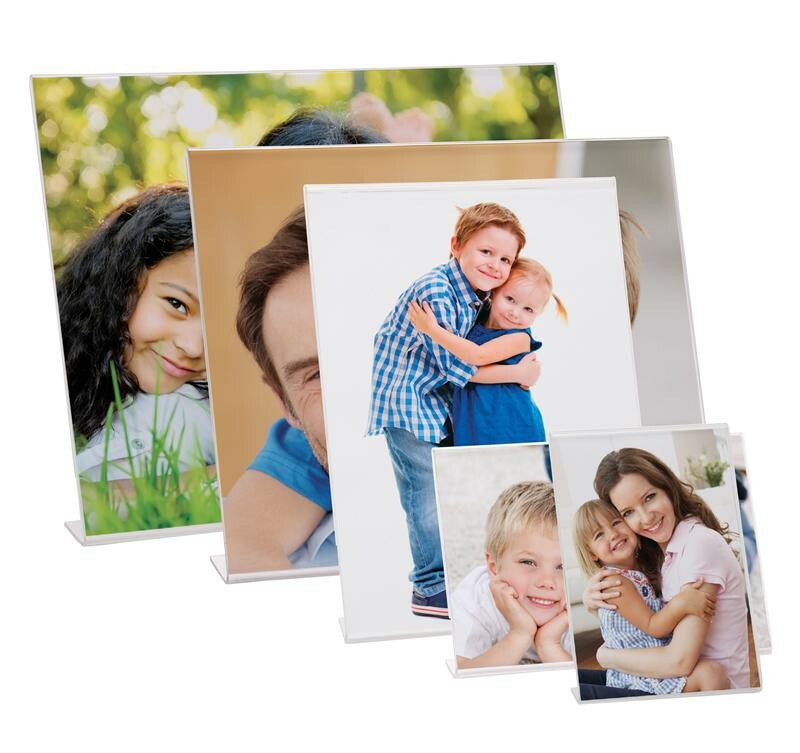 Custom imprinting is available for an additional charge on any frame, just call customer service at 1-800-621-5584 for more information. The photo slips in on the side easily. 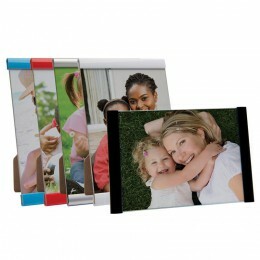 These are quality frames and look simple and sophisticated. Looking for a size that you don't see? Give us a call, we may be able to order it. Does this frame come with any barcodes or stickers on the back of it? I'm planning to use them to hold transparent prints and the back of the frame must be as clear as the front so the images are not distorted in any way. 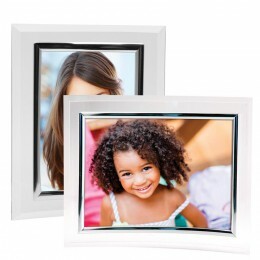 The picture frames are entirely clear. Each one comes individually wrapped in clear plastic. There is no barcode or sticker on them. The 8x6, 7x5, 10x3.5, 11x8.5 are horizontal options. is this frame angled at about a 45 degree angle? Yes, the frame is at an approximately 45-degree angle.